Island Mazda near Freehold, NJ is excited to present the all-new 2017 Mazda CX-5. The 2017 CX-5 was designed to maximize speed and agility with a sleek design. Sharp steering and a poised chassis make it the enthusiast’s pick. A 155-horsepower 2.0-liter four, six-speed manual, and front-wheel drive come standard; 184-horsepower 2.5-liter four is optional with six-speed auto and all-wheel drive. The smart cabin, easy-to-use infotainment, and optional safety tech – adaptive cruise, automated emergency braking, and more – underscore the CX-5’s great all-rounder standing. The craftsmen at Mazda molded a life-size 2017 CX-5 from clay, ensuring that every stroke had a distinct purpose. No line, no edge, no contour was created by accident. They created a bolder, more athletic, and more sophisticated vehicle. With more or less the same pentagon shaped grille, swept-back headlights, and athletic proportions as before, the 2017 CX-5 might not seem all that different to the casual observer. Look closer, and the engineers at Mazda have tightened up the headlights into slimmer, squintier shapes, canted the grille forward slightly, and gave the rear fenders a more pronounced shoulderlike appearance. Everything you see and touch is new inside and out, even if a heavily revised version of the old CX-5’s architecture lurks underneath. Mazda stiffened the CX-5’s structure by 15 percent and added a rash new sound-attenuating measures; extra seals for the doors and additional absorption material to quiet the cabin at speed and reduce impact noise over bumps. The underbody paneling was expanded to cover more of the chassis and now is made of a sound-insulating feltlike material. Elements of the cargo-area trim similarly underwent a switch from hard plastic to carpeted pieces to reduce noise reverberation throughout the interior, and the windshield is thicker. 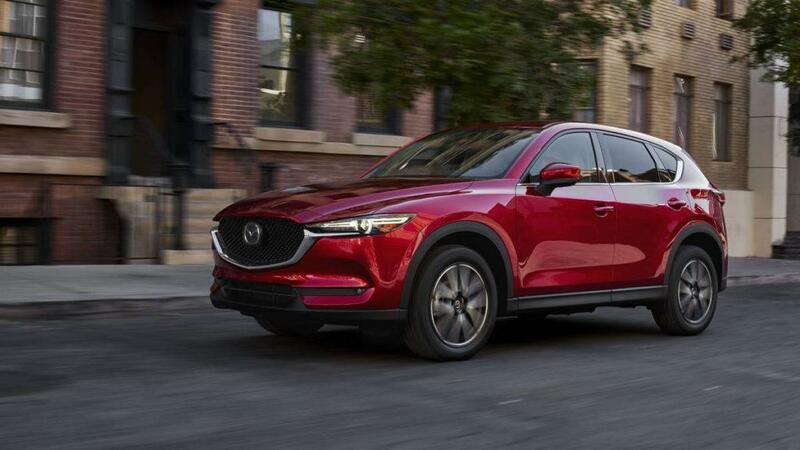 If you are in the market for a new vehicle that has been handcrafted and created with perfection, head on down to Island Mazda near Freehold, NJ to test drive the 2017 Mazda CX-5 today.